Fusion Accountants is a small to medium size firm of Chartered Accountants based in Hounslow. With over 30 years of experience helping thousands of local Businesses and Individual with their accounting and taxation needs. We provide wide range of accountancy services including Limited Company accounts, Personal Tax Returns, Payroll, bookkeeping and much more. We work with Small Businesses and Sole Traders from various sectors, helping them to comply with their statutory compliance, providing business advisory and to grow and achieve their business goals. We also specialise in helping Contractors, Freelancers and Locums from setting up new company to managing full company compliances including IR35 reviews and much more. We provide full year end compliance for your Limited Company. We will prepare and submit your Year end statutory accounts as well as Corporation Tax (CT600). Need help in your bookkeeping? Fusion’s Accountants comprehensive bookkeeping service means we take the headache out of accounting for you. Our Hounslow Accountants office is located in heart of Hounslow. 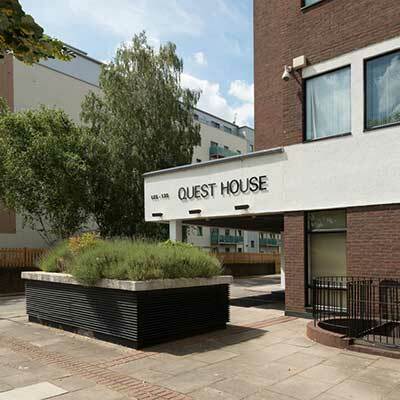 We are just few minutes walk away from the main Hounslow Central tube Station and less than 2 minutes from the High Street. Parking is available for our clients. Please note that the car park is located at the back of the Quest House, opposite Aldi car park. We have helped hundreds of businesses in Hounslow start up and grow their business. Whether you need help in choosing a legal structure, a business plan or managing your compliance, we are here to help. Are you have a sole trader business or an individual who needs a tax return? We offer a friendly and simple accounting service with free tax advisory service to help plan and minimise your taxes. Our contractors accounting service comes with an award winning online accounting software. Personal Tax returns, IR35 review and advice, Tax planning to maximise your tax home pay and much more are all part of our standard contractor service. Have a rental property income in Hounslow, we provide advise and planning to minimise your taxes. We will prepare and submit your rental accounts along with your self assessment. You dedicated accountant will be based in Hounslow, so why not come and visit him face to face. You get one point of contact so you won’t need to explain your query again and again. Here at Fusion we believe in excellent customer service and having a dedicated accountant fulfills one of the criteria.